What feeds your soul? What moves you to action? Using your artistic talents to call for change. Quiet prayer and reflection times. Noisy social times. An international speaker with a captivating story to tell. A sunrise ceremony by the sacred fire. The power of 200+ voices in unison. Sharing your passion for justice with others who live nearby. Gaining practical skills, giving you confidence in advocacy. Deep listening to the stories of those who are most affected. All this and more will be part of the Streams of Justice program. Come learn, grow, question, challenge and act together. Streams of Justice refers to the water theme that will tie the various sessions together, as we seek for justice that flows like a mighty river (Amos 5:24). It also refers to the way program topics are distinguished. KAIROS works to expose and change many different areas of injustice. Five of these program areas will come alive each in their own stream. Participants will be asked to choose one stream to focus on at this year’s Gathering. In addition to these five focus area streams there will be skill building workshops that can be applied in any stream and plenary sessions to inspire and connect us all together. KAIROS is committed to a new relationship with Indigenous peoples in Canada and around the globe, a relationship based on mutual respect, sharing, equity and the full realization of Indigenous peoples’ rights. Core to this commitment is the principled implementation of the UN Declaration on the Rights of Indigenous Peoples. 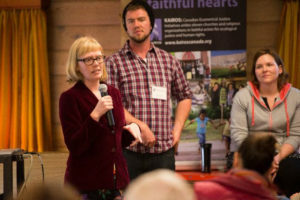 KAIROS Canada is committed to truth, healing, and reconciliation for the past, and Indigenous justice for the present. We support an active process of decolonization— with ourselves, within churches, communities, organizations, and our communities, our churches, and our country, building just and respectful relationships between Indigenous and non-Indigenous peoples. We affirm the recognition of Indigenous peoples as distinct peoples and nations, with rights to land and self-determination. Current priorities include decolonization and reconciliation education, implementation of the TRC Calls to Action through the Winds of Change campaign, commitment to free prior and informed consent by companies and governments, and solidarity with Indigenous-led struggles such as justice for Missing and Murdered Indigenous Women and Girls, and equity for First Nations’ children. Convention on the Rights of All Migrant Workers and Members of their Families, and the ILO Convention #189, which recognizes domestic work as work. Canada’s foreign policy can be seen to be complicit in human displacement. Migrants flee poverty, often violations of economic, social and cultural rights, at home, only to find themselves in precarious living and working conditions in Canada. Without permanent residency status, migrants have restricted access to social services and few guarantees of their labour rights. Immigration policies, rather than addressing real labour needs, restrict opportunities for residency while encouraging unstable and potentially exploitative migrant work contexts. In our commitment to migrant justice, KAIROS’ current priorities include increasing pressure towards ratification and implementation of the International Conventions, fair and dignified immigration policy, and the development of temporary foreign worker programs based on fair labour standards and inclusive of comprehensive monitoring. The engagement of Diaspora communities in human rights action, building bridges between diverse communities such as migrant and Indigenous peoples, and education towards racial justice, are key ways of working. KAIROS’ role often includes facilitating networking among migrant and labour groups, churches and other allies. KAIROS is committed to the full equality and equity of women, men, girls and boys in diverse identities, roles and spheres of their life. Gender justice is a critical overarching goal in all KAIROS’ work and is seen as an essential element in the pursuit of inclusivity, democratic development, peace, and respect for human rights and the environment. 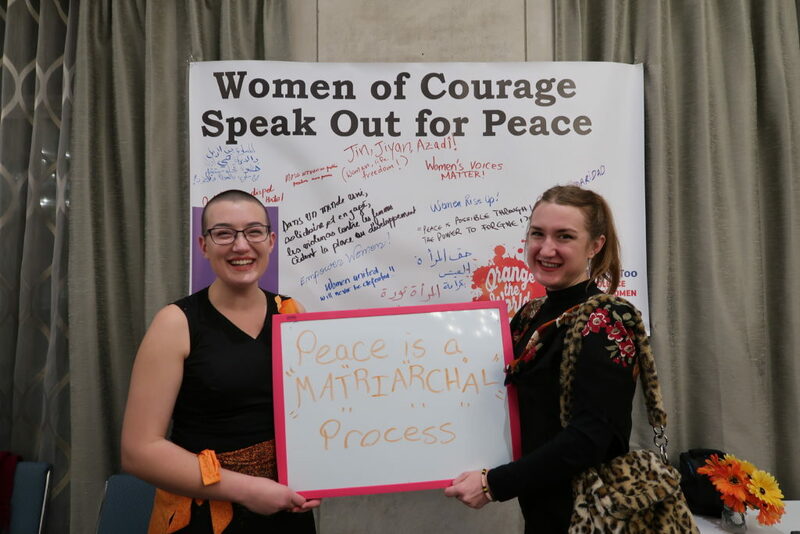 The Women of Courage program is rooted in and shaped by the wisdom and experience of KAIROS` long-standing partnerships with Canadian and international women’s organizations, networks, and movements for peace-building, human rights, and ecological justice. While women around the world face many injustices, women are also key catalysts and agents for change when they create and exercise leadership in human rights and peace building, processes often dominated by men’s voices and experiences. Women are key actors in the struggle for ecological justice, organizing their communities to address resource extraction and climate change. 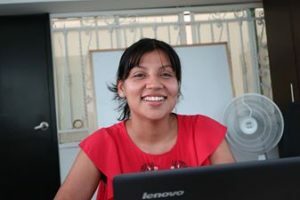 The KAIROS Women of Courage program brings together women from different human rights contexts—conflict, Indigenous, and migrant—for shared analysis, learning, strategizing and social action. 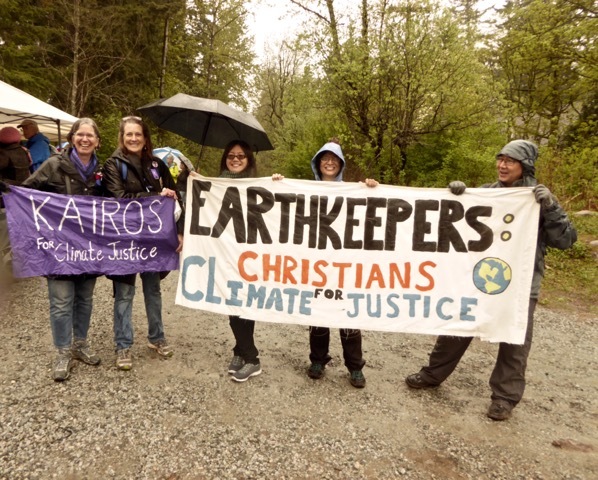 KAIROS is committed to a vision of ecological justice where humanity lives within natural limits, in connected relation to all of creation. 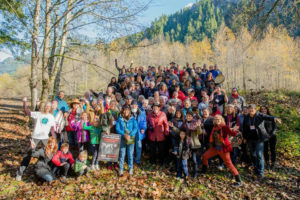 Ecological justice includes social justice–participation in decision making and sustainable use of natural resources–and requires putting the economy in its place as a subsystem within society and the wider natural world. 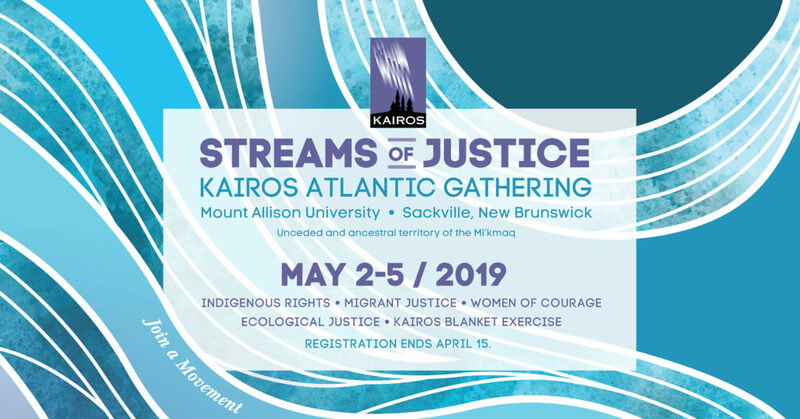 Within a vision of ecological justice, areas of ongoing KAIROS priority include ensuring climate justice, addressing impacts of resource extraction, protecting watersheds, and contributing towards a vision and just transition strategy for a clean energy economy in Canada. Our work is inspired by eco-theology and influenced and informed by Indigenous wisdom. We work in consort with social movements in Canada and around the globe. 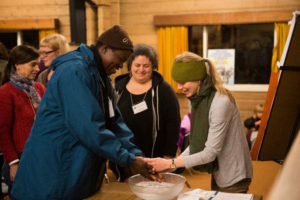 The KAIROS Blanket Exercise stream is an opportunity for Elders and Facilitators from across the Atlantic to connect, share experiences and learn from each other. We will build knowledge and capacity around providing emotional support to participants and opportunities to take action. We will also prepare and present a Mass Blanket Exercise for the whole gathering as well as the general public. 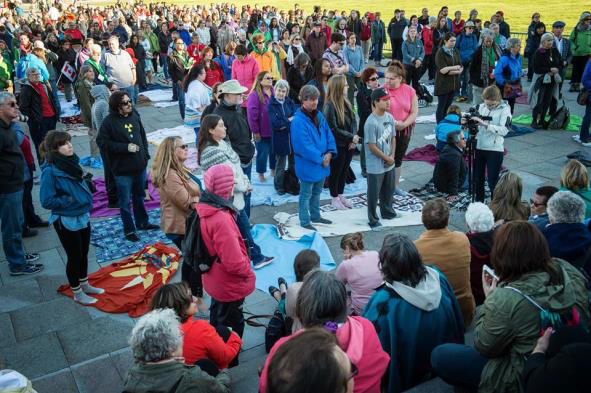 The KAIROS Blanket Exercise (KBE) program is a unique, participatory history lesson – developed in collaboration with Indigenous Elders, knowledge keepers and educators – that fosters truth, understanding, respect and reconciliation among Indigenous and non-indigenous peoples. The Exercise is an education tool in truth telling, a critical pre-condition to true reconciliation. While originally developed in Canada, the KBE is now being adapted to contribute to the truth of the history of colonization in other parts of the world. 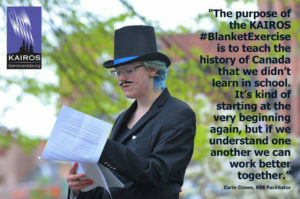 Note: Some experience facilitating the Blanket Exercise is required to sign up for this stream.